Document Notes: Announcement of relocated student returning to college studies. 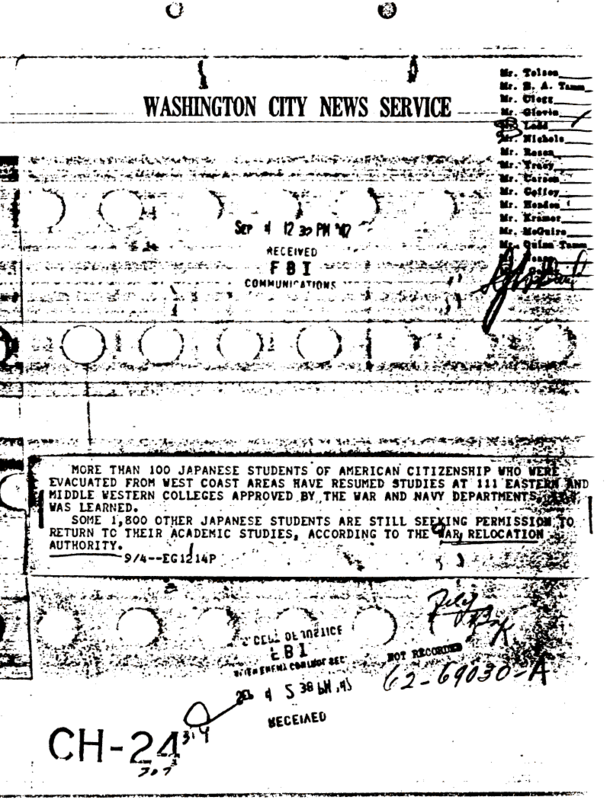 By the end of the war 4300 students, regardless of citizenship were allowed to leave Relocation Centers to attend college. The American Friends Service Committee played a large role in this program.